Your big day is looming and you want to make sure your wedding invites are unique and stand out from the crowd. There is only one way to ensure this happens and that is by creating your own DIY wedding invites. If you create your own wedding invites it means you can be as creative as you would like and design them to suit your own personality, so they really are one of a kind. In order to do this, you can choose a design and enlist the assistance of another company to produce the wedding invites for you. 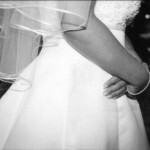 There are all kinds of wedding stationery to choose from to make your big day even more special and there are many benefits to choosing your own DIY wedding stationery. Above: Two examples of beautiful and personalized DIY cards by The Card Gallery of UK. 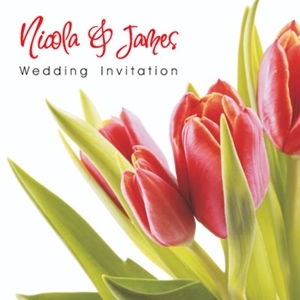 The outer card of your wedding invite can have any design you wish on it, whether it be your wedding rings, floral design or any other patterns you desire. 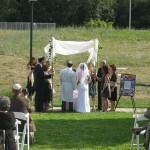 You can even individualize them by putting the names of the bride and groom on them, so they really are one of a kind. 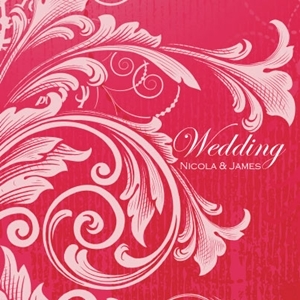 You can design an outer card which goes with your big day and suits the personality of both the bride and groom. You will know that it has been created just for you and you won’t find a duplicate anywhere else. You can choose the design you want and get a company to do the hard work for you, so all you have to do is decide what you would like to be featured on the wedding invites. DIY wedding stationery takes the hassle and time out of creating wedding invites from scratch, so you can get the design you want without any fuss. The only thing you will have to do is write a message on the inside to make it more personal. We all know that weddings are costly events and any cash you can save when preparing for the big day will always help you out. If you choose to pick out DIY wedding stationery, you can save yourself a lot of money than you would by creating it completely from scratch. If you are on a tight budget, buying some DIY wedding stationery will really help ensure you stretch your purse strings as far as they can go. 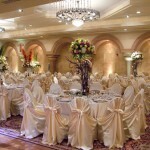 DIY wedding stationery will give you more options of designs to choose from, so you can find one which really suits you. 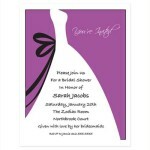 You can make your DIY wedding invites as stylish as you would like and get one which is just right for you. You may have a look at many more such nice designs at the link given below. 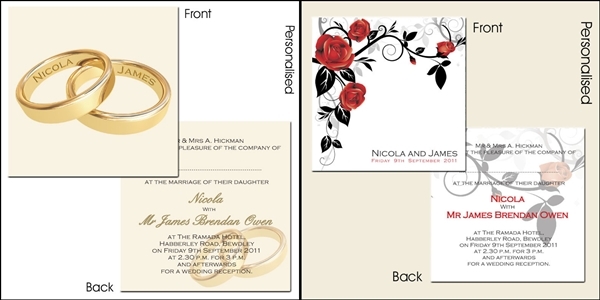 Make sure your big day is extra special by using DIY wedding stationery to get a design which suits you.